Disneyland has long reigned king in capturing the hearts of children. Anyone can easily witness that magical moment when a kid looks upon Cinderella’s castle or meets Mickey Mouse for the first time. Around the world, Disneyland often prevails as the best choice for kids. 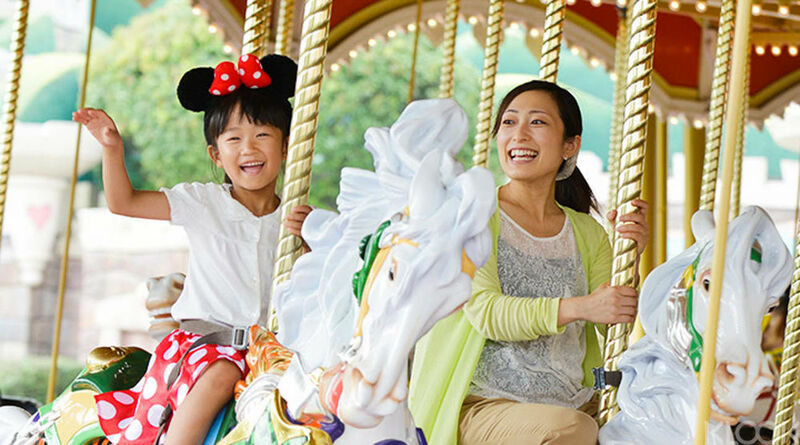 Tokyo Disneyland is no exception, home to all the classic rides that children love; kids can ride the gondola in It’s a Small World, experience the Jungle Cruise, or defeat the evil Emperor Zurg in Buzz Lightyear’s Astro Blasters. Coming in second place, DisneySea allows young fans to meet famous Disney characters and indulge in fantastical sea odysseys. However, DisneySea targets a slightly older audience compared to Disneyland. The rides revolve around more adult themes. Among the rides, Toy Story Mania and Sindbad’s Storybook Voyage appeal to children the most. In Universal Studios, major attractions impose height restrictions with some themes that might not be suitable for children. While thrilling, rides like Jurassic Park or Jaws might scare small kids. Yet, the theme park has dedicated an entire portion of the park for young kids. Designed for children, Universal Wonderworld presents fun character-based attractions in Snoopy Studio, Hello Kitty Fashion Avenue, and Sesame Street Fun World. With 28 attractions, Wonderworld will easily occupy your family for an entire day. Each theme park competes very closely in this category but Universal Studios is the clear winner with the Wizarding World of Harry Potter. From the beloved book and movie series, Harry Potter created a craze like no other. Recreating this magical world, the Wizarding World of Harry Potter welcomes all fans to experience fiction in real life. Although there exists another wizarding world in Orlando, Harry Potter enthusiasts in Asia flock to visit this attraction. DisneySea, as the only Disney Resort of its kind, presents to visitors unique attractions that cannot be found anywhere else. The most well-received ride, Journey to the Center of the Earth, claims its place as a roller coaster masterpiece. Follow Captain Nemo on an exhilarating exploration through caves and forests, where you will arrive to the volcano pits to encounter the giant monster. The rides’ detailed artwork leaves riders in awe, naming this ride as one of DisneySea’s best attractions. Disneyland comparatively has less exclusive rides because it closely resembles other Magic Kingdoms. Monsters, Inc. Ride & Go Seek surpasses others in this aspect. Called the flagship ride of Tokyo Disneyland, this ride delights everyone with creative interactions and lively Audio Animatronics. Along the way, you can discover hidden monsters with your flashlight. This ride arguably beats similar attraction, Monsters Inc. Mike & Sulley to the Rescue!, in Los Angeles Disneyland. Due to the popularity of the three attractions mentioned, they usually require long wait time. For the Wizarding World of Harry Potter, you will not be able to enter during peak hours if you do not have a ‘timed entry ticket.’ You can either buy the Express Pass, which includes the timed entry ticket (except for Express Pass 4 – Flying Dinosaur) or apply for timed entry on arrival at the ticketing machine inside Universal Studios (note that you have to arrive extremely early for this and there is still no guarantee you’ll get a timeslot!). The third (cheaper) option is to purchase a USJ fast-track entry wristband which gives you entry to USJ 15 minutes before the official opening time so you can head straight to the most popular attractions. For Disneyland and DisneySea, both Journey to the Center of the Earth and Monsters, Inc. Ride & Go Seek give out fastpasses. With your admission ticket, you can grab a fastpass at the machines near the attraction entrance. Returning at the time stated, you can skip the lines. It’s first come first serve so fastpasses will run out and you can only get one pass for a given timeslot. So prioritize your rides! The most dreaded part of any theme park? The crowds. 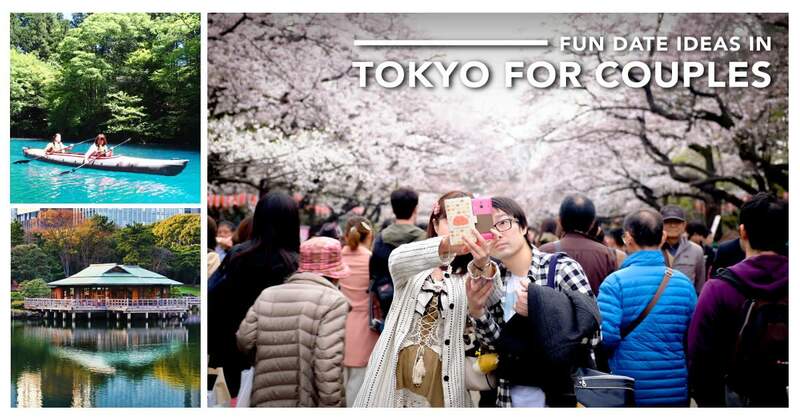 As expected, these awesome theme parks gather huge crowds. Worst performing, Tokyo Disneyland’s attendance amounts to over 16 million people in 2015! This overwhelming number translates into very long lines at Disneyland on busy days. DisneySea and Universal Studios are generally less crowded. Universal Studios receives a lower rating because its fastpass, known as the Explorer Pass, must be purchased, as opposed to the free fastpasses at Disneyland and DisneySea. Though certain USJ attractions such as the Wizarding World of Harry Potter as notoriously crowded year round. A good rule of thumb is to always avoid the weekends when visiting these theme parks. As many Japanese locals enter the parks with their annual passes, the difference becomes quite significant. Also, stay away from peak season in August and March. If you don’t mind the cold, visit during late January and early December, when the parks are least crowded. On the day, arrive at the park as early as possible! This way, you can get your fastpass first and save lots of time later the day. Especially in Japan, take advantage of the single riders line. Since locals rarely use the line, you can often reduce your waiting time by many hours. Crowd calendars tell useful information about when to visit. 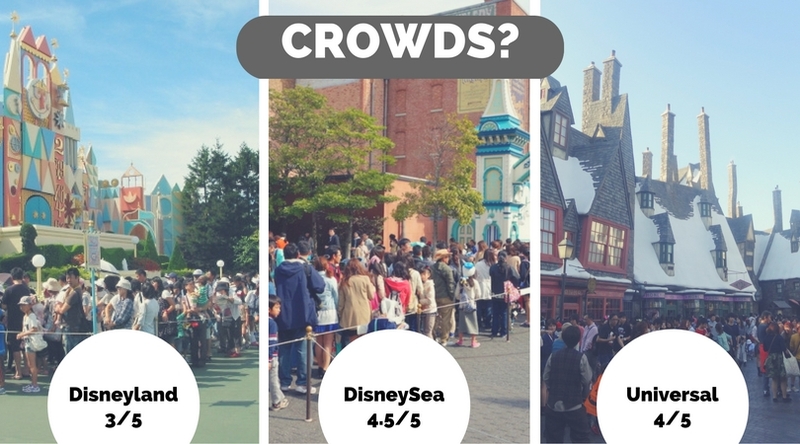 These crowd calendars for Disneyland, DisneySea, and Universal Studios got great reviews for accuracy. For superfan theme park goers, you can even check out the Disneyland map, DisneySea map, and Universal Studios map to get a head start in planning your route. 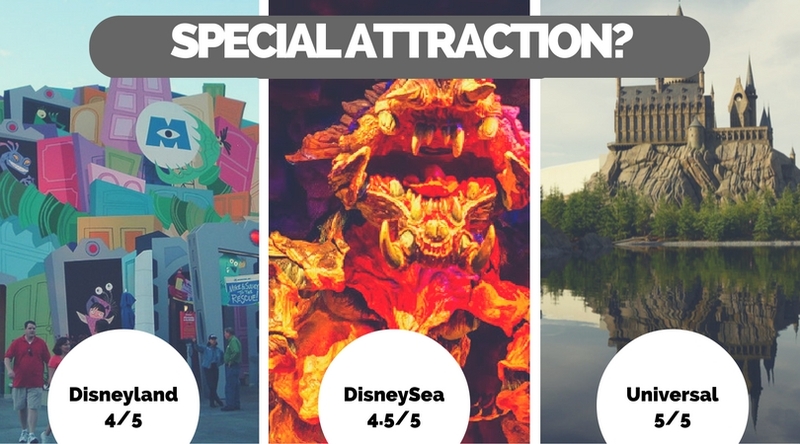 Believe it or not – the standard costs for these theme parks are exactly the same! With Klook, you can discover further discounts for all the tickets. It is useful to keep in mind the cost for the Express Pass for Universal Studios when considering expenses. 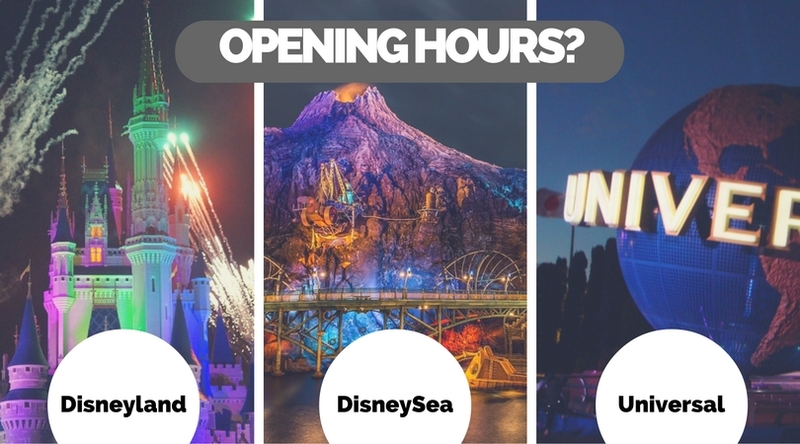 The opening hours vary depending on the season so you should check the park operation hours for Disney Resort and Universal Studios before going. Like other Disney Resorts, stay until night time for spectacular night shows. At Disneyland, Once Upon a Time transforms Cinderella’s castle into a storybook, combining fireworks and lighting effects. With heartwarming Disney musics and stunning visuals, this show ends your Disneyland adventure with delight and romance. At DisneySea, Fantasmic! presents a water show that brings classic characters right in front of you. Utilizing lasers, lights, and fire, the show entertains audience with Disney Magic. Remember to pay attention to the show guide at the parks for specific show times! On certain days, you may need to enter in the lottery system to reserve the best seats for viewing Once Upon a Time. If the lottery is being held, head to the distribution location at Tomorrowland Hall. When no lottery is available, you can simply go directly to the the Central Viewing Area. You can access these theme parks quite conveniently via public transportation. 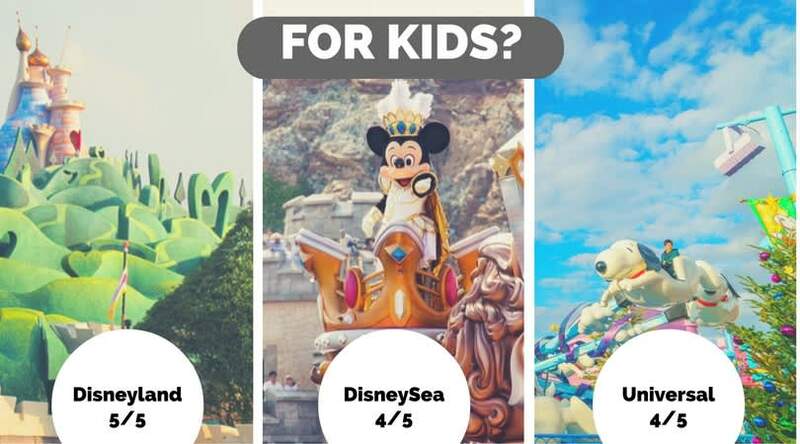 First, always check with your hotel to see if they provide a free shuttle to these theme parks! If not, fear not – you can reach the destination with relative ease. By train, Maihama Station is the closest station to Disney Resort in Japan. Upon arrival, you can choose to take the Disney Resort Monorail, which costs ¥ 260 for one-way, or walk to the park in around 20 minutes. Click this guide for the routes within the JR system. By bus, many routes take visitors to Disneyland and DisneySea. From Narita airport, you can board the bus at Terminal 1, 2, 3 respectively at Bus Stop No. 5, 12, 6. In less than an hour, you will reach Disney Resort. 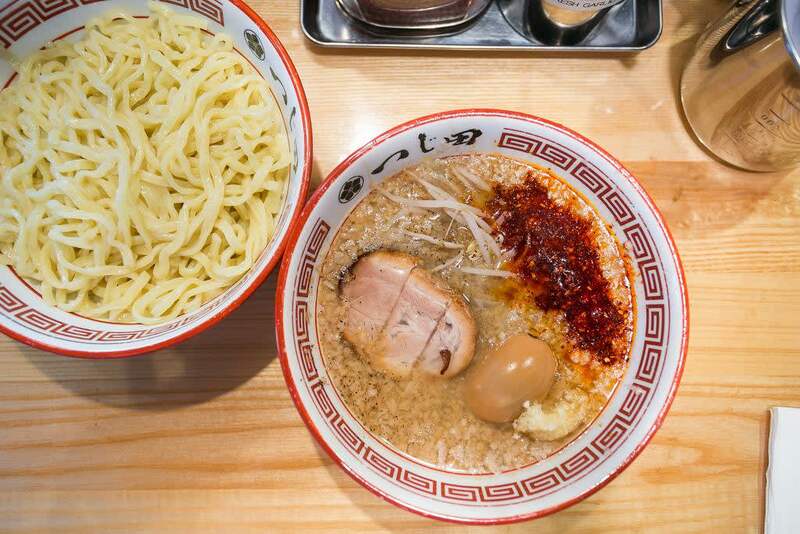 By train, the theme park is a 5-minute walk from Universal City Station on the JR Yumesaki Line. From Namba, you can reach Universal City Station in 25 minutes for ¥ 360. This guide provides detailed breakdown of different routes. By Bus, there are buses from both Kansai Airport and Itami Airport. They come every hour and cost ¥1550 and ¥930. The duration of the bus rides is around one hour. By ferry, you can take the Captain Line from Osaka Aquarium. For ¥ 700, you can enjoy a scenic ride which lasts about 10 minutes. There are around 2 ferries per hour. You can purchase the tickets at the Kaiyukan West Pier or University City Port. Note that cruises may be cancelled depending on the weather conditions! Tallying the overview score, you will find that DisneySea scored the highest with 23 points. Universal Studios follows closely with 22.5 and Disneyland with 22 points. Yet, some area might be more important to you. For example if you have children, going to Disneyland will probably be your children’s dream-come-true. Hopefully, this guide has brought each park’s speciality to your attention. Don’t forget to check out our Universal Studio’s guide for more insider tips. Do you agree with this rating? If you have other insider tips, feel free to comment below and share your knowledge!